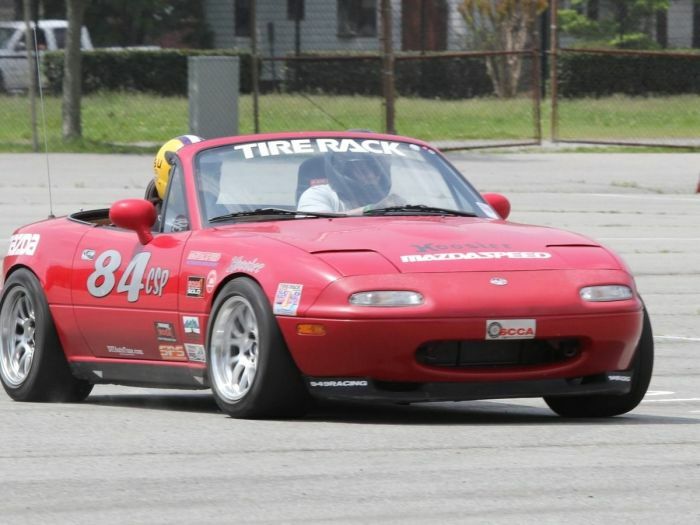 With two events still to go, Mazdas have secured over 50 victories in the SCCA's Championship Tour autocross season. These events are not part of a point championship, but they give an opportunity for greater seat time for autocrossers, both those who compete in the ProSolo Championship and those who are just looking for the fun. In some cases, C-Street class is a guaranteed win for a Miata, since the little roadster's effectiveness has made it the only car entered. But even when this is not the case, the ND Mazda Miata consistently wins. 8 drivers have won the class in either C-Street or C-Street Ladies'. In the two upcoming events, one in Connecticut and the other in Washington state, it's likely that the pattern will repeat itself, but you'll have to check out the events yourself to see. Head over to the SCCA's website for more info. In some classes, Mazdas are particularly dominant. E Street, Street Touring Roadster and C Street Prepared are all classes in which Mazdas are more likely to win than not. It may sound like the same driver winning these classes--which admit more than just Mazdas--but in fact, there are no repeat winners in CSP and CSPL (C Street Prepared and C Street Prepared Ladies'). Super Street Modified's first place at the Dixie Tour was given to Randall Wilcox. Later, at the Lincoln Championship Tour, he took first in X Prepared--in the same car: a 1996 Mazda Miata. XP's highest place has also been taken by an RX-7 and a couple of different Mazda Miatas. These are all classes in which Mazda has done well in the past, but there are other classes in which Mazda is an outside contender, and certainly not part of the traditional competition. One example is Clint Griest, who won E Street Prepared, which is typically a class for pony-cars, not his Mazdaspeed6. Griest took two victories in ESP with his Mazda, one at Finger Lakes, New York, and the other in Peru, Indiana. We've talked before about how Mazda's motorsports programs make it an excellent option for those who are looking for a practical way to get behind the wheel. It's clear that not only are there great reasons to try and win awards from Mazda, but there's a pretty good shot that you will win with a Mazda.